Another week has passed, so we have another update for you. Last week we tried to get everything on time for the prototyping deadline, this would give us a green light from our mentors, or not, to move on with Tension. Luckly for us, we got that sweet green, you could say we craved that mineral. With that super hectic week behind us, things are now evolving into our own pace, as we now have 3 weeks to finish our first sprint before the Easter holidays. We know what to do, and have divided the roles accordingly, as this is no small thing. It’s nice to see how every one of our group has his or her own point of view and style, and see this all mixed together into a project we really believe in. Program wise, we had to redo some nasty stuff we did in our code, as of now we did finish it rather quick instead of looking for better solutions, so our dev team set out to do just that. 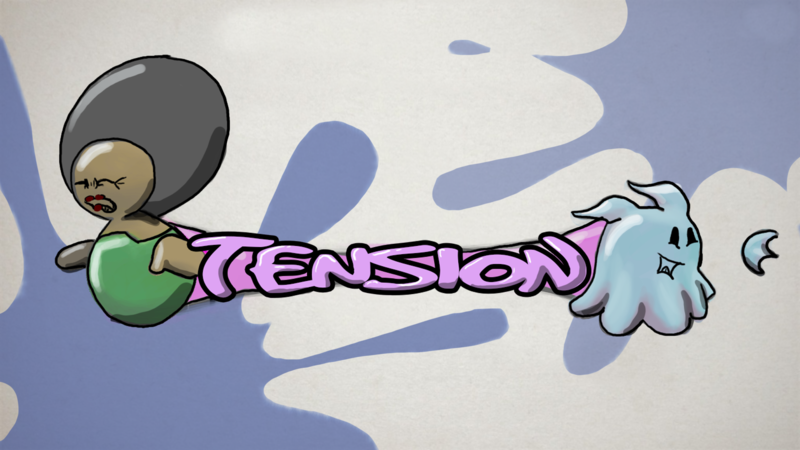 The developers where extremely eager to fix and update the pickup system of Tension, but during our meetings and setting up a decent planning we came to the conclusion it would not be advised to focus on a gameplay element while the flow of the game wasn’t on point. With the flow we meant a start-up screen, a game lobby, character select and UI implementations, as these are things the player sees pretty much instantly while booting up the game. Focussing on this now would certainly help us out later in the pipeline. As these things are a big chunk of With the lobby in the works, it felt a bit underwhelming to just have this aspect of our game ready for the first sprint, so our devs added and improvement to character movement, player constraint and the camera. Furthermore, the rotation of our characters was also something we weren’t happy with and fixed in the meantime, as it felt clunky and not smooth enough. With our art team focussing on multiple things at once, as we need items and characters alike. We decided to update the model of the character we already had, Michelle, as for now she had hands with 4 fingers, but we changed it to glove like hands. Furthermore, we also added bones to Michelle her afro haircut, to make it a bit bounce while she walks. We did try to make the joints more dynamic, but this was a bust was maya kept crashing because of this, so we did do it all by hand. As our animator learned to work with animation layers which resulted in a less clutered folder structure as we could work in fewer Maya files than anticipated. As for our second character, we made another female, Katarina, in the same style as we did Michelle. One of our artists made a new model for her, but it didn’t line up with the model we had for the previous one, so we could not reuse the rig and animations. So with consent of the other artists we abandoned that model and used the one we already had, but with a different texture and haircut. While discussing our items, how they should look and feel, while keeping close to our art style we had planned, our team made a taco, as one of the combiner items. The item was funny and worked in our level marvellously. That was all for this week guys, we hope to hear feedback from your side, so tell us if u played our build, what u liked and didn’t like so far.